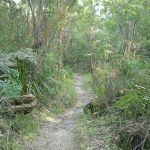 This pleasant half day walk starts from Wareemba Avenue in Thornleigh and winds down into the valley along service trails and bush tracks. The walk then follows a section of the Blue Gum Walk to the Great North Walk. From here the walk follows the Great North Walk to Thornleigh train station. 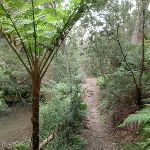 Along this walk you will see a dense and thriving forest filled with Blue Gums and Bracken Ferns, plenty of wild flowers and a wide variety of native animals. 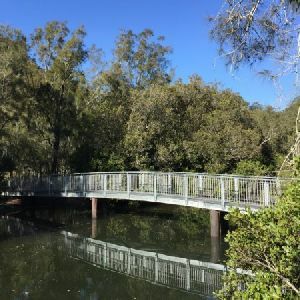 From the small bridge on Wareemba Ave, just down the hill from Vale Rd, this walk follows the management trail around the green gate, past the large fern tree, and crosses Larool Creek at the concrete causeway. On the other side of the creek, the track soon comes to an intersection with a less-used management trail, on the right. Veer left: From the intersection, the walk follows the clear management trail up the hill, away from the houses. The trail passes through a pine and acacia forest before coming to an intersection with an indistinct track on the left – this is just after the end of the flat section of track. Continue straight: From the intersection, the walk follows the management trail down the fairly steep hill to an intersection at the causeway over the creek. 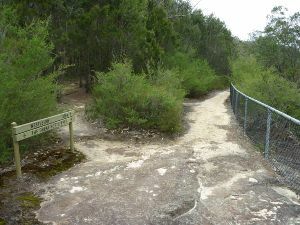 Turn right: From the intersection, the walk crosses Larool Creek using the concrete causeway and follows the management trail along the rock face. The track heads down the hill with the occasional view of the creek (below on the left) and soon passes a concrete column supporting the rock on the right. The tracks passes a few round concrete pipe covers and then comes to an indistinct intersection, where there are two round pipe covers, an electrical junction box and a pipe bridge crossing the creek on the left. Turn left : From the well-hidden intersection, this walk heads from the concrete lids down the rough track and under the pipe bridge, where it cross the creek and heads up the bank to a track at the other end of the bridge. From here, the walk follows the bush track through the open bracken and blue gum forest for a while, before the forest becomes more dense. The track soon joins onto the Blue Gum Walk, marked with a small post. Turn left : From the intersection, this walk follows the Blue Gum Walk marker along the management trail, winding up the hill. The trail soon turns sharply to the right, and then meanders up the spur to an intersection with a grassy management trail (on the right) marked with another Blue Gum Walk post. Continue straight: From the intersection, the walk follows the Blue Gum Walk marker along the concrete management trail. 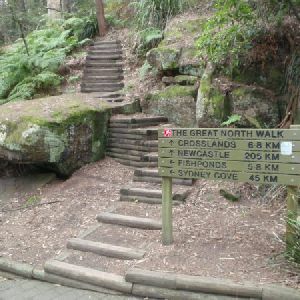 The trail climbs steeply up the hill until it comes to the intersection with the Blue Gum Walk, at the base of a set of wooden steps on the right. 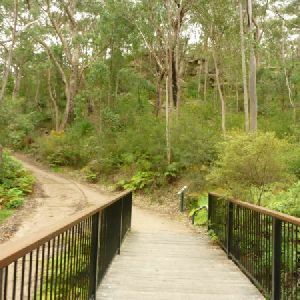 Turn right: From the intersection, the walk climbs up the wooden steps and follows the bush track. The track continues up the side of the valley through the tall blue bum forest and the bracken ferns, until reaching the unmarked intersection with the power line track (just below the power lines). Continue straight: From the intersection, this walk follows the bush track north, keeping the valley down to the right. 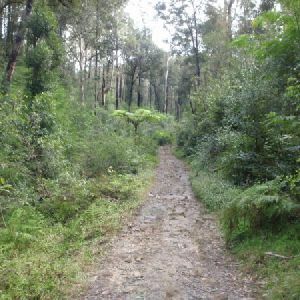 The track winds along the side of the ridge, through the lush blue gum forest with houses up to the left, to the intersection with the ‘Great North Walk’. Turn left: From the intersection, this walk follows ‘The Jungo’ sign south along the clear track, soon keeping the wide valley to your right. About 100m further, the walk comes to an intersection with the unsignposted Blackfellows Head track (on your left). Continue straight: From the intersection, the walk follows the main track, keeping the valley down to your right. The track leads downhill for just over 100m and crosses a small, rocky gully (below some houses), where the rocky track then continues to meander fairly gently down along the side of the hill for about 300m. The track then leads down much more steeply for a short time before walking among the rock outcrop and finding a three-way intersection with the signposted ‘Quarter Sessions Rd’ track (on your left). Veer right: From the intersection, this walk follows the main track south, downhill, keeping the wide valley to your right. 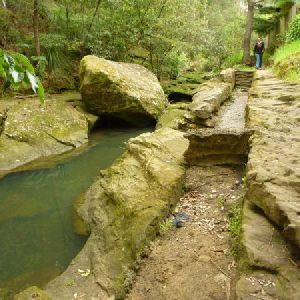 After about 100m, the track crosses a small (often dry) creek, then after another 110m, a rocky creek on a small flat timber bridge. After leaving this gully, the track gently winds down along the side of the hill for about 800m, passing through a pleasant casuarina forest then crossing another small (often dry) creek. 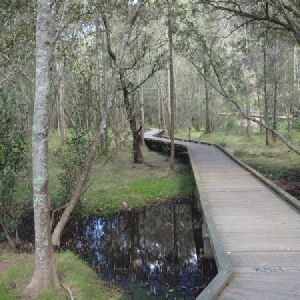 The track leads over a rise and down some timber steps before passing among the pleasant grass trees for about 200m (crossing a couple of small creeks with timber plank spans and coming to a flat timber bridge. 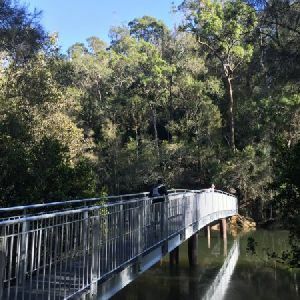 Crossing this bridge, the walk leads over a rise to come to the edge of Berowra Creek. The track soon crosses another flat timber bridge, then starts to climb steeply for just over 250m. The walk then starts to flatten out, following the rocky track for about 200m to find a fence. Following this fence, the walk comes to Elouera Lookout, where there is an intersection with the ‘Westleigh’ track (on your left). This fenced lookout is on the Benowie Track close to Westleigh. There are uninterrupted views from the clifftop across the Berowra Creek valley, which is rare for the area. As well as being on the Great North Walk, this lookout can be accessed by a short walk from Elouera Rd, Westleigh. This section of fenced rock platform is about 100m long, and there is some limited shade from the casuarina near the lookout if you want to take a rest. Continue straight: From Elouera Lookout, this walk follows the ‘Great North Walk’ sign along the track, keeping the fence and valley to your right. At the end of the fence, the walk passes through casuarina forest for a short distance before passing alongside another (shorter) fenced cliff. About 50m past this fence, the track bends right and leads steeply downhill (tending further right to find some GNW arrows) where the track then flattens out for about 170m. 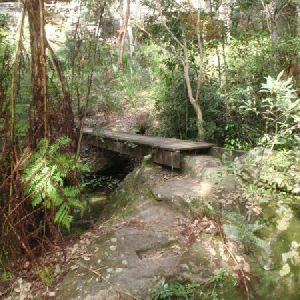 The walk crosses a mossy gully on a large flat rock then, just shy of 250m later, crosses a flat timber bridge. 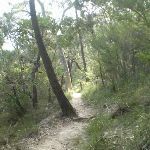 The track then leads among grass trees beside Berowra Creek for a further 250m, and comes to a sandy beach and intersection, beside a creek crossing. 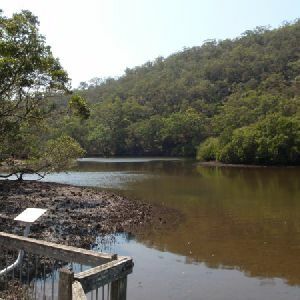 Here, the walk turns right and crosses Berowra Creek – this creek may become impassable after rain. 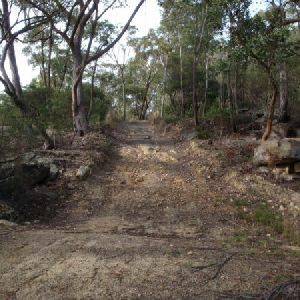 The eroded track leads (steeply at first) up the hill for about 70m, coming to an intersection with a wide management trail, marked a ‘Great North Walk’ sign. Turn left: From the intersection, this walk follows the ‘Great North Walk’ sign along the wide trail as it bends left and leads downhill along the concrete section. 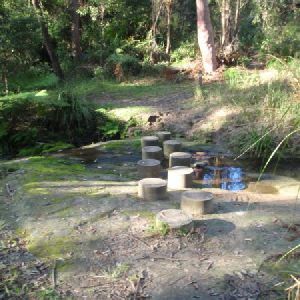 The trail leads down across a usually small creek, then heads up to the well-signposted intersection beside the Jungo campsite, where a ‘Fishponds’ sign points back down along the trail. 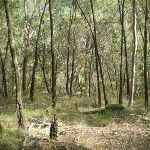 The Jungo is a relatively small clearing and campsite near the junction of Berowra and ZigZag Creeks at a well signposted intersection. There is often water in the creeks (treat well before drinking) but there are no facilities. Speculation on the source of the name ‘Jungo’ includes the Aussie tendency to abbreviate words (‘Junction’ gets corrupted to ‘jung-o’ etc) as well as a possible derivation from one of a few similar sounding aboriginal words. Veer left: From the intersection at the Jungo, this walk follows the ‘Bellamy Street’ Great North Walk sign through the campsite and along the pleasant track, leading into, then through, the ferny forest for about 700m before crossing a side creek on a timber bridge. The track then continues in a similar manner for another 700m, coming to a T-intersection with a concrete bike track, beside a large bridge (over Zigzag Creek, on your left) where a sign points back along the ‘Great North Walk’. 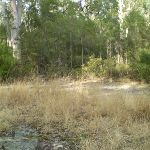 Unfenced and unmarked edge with potential 80cm or higher fall into the creek. Keep clear of the culverts edge when crossing.
. Just 25m past this culvert the walk comes to an intersection (with a dirt track on the left) marked with a few signs including a ‘The Jungo’ arrow point back down along the trail. Turn left: From the intersection, this walk follows the ‘Sydney Cove’ sign along the narrow track away from the wide concrete trail. The track leads behind the house (on your right) following along the rocky side of Zig Zag Creek. After the third house, in a small clearing, the track turns right, heading up between the houses a short distance to come to the top of the turning circle at the end of Morgan Road, Thornleigh. Turn left: From the end of Morgan Street, this walk heads up along the road to left into ‘Tillock Street’. This street soon bends right to become ‘Eddy Street’ following the footpath and GNW arrows to the top of the hill where there is a set of traffic lights. The walk cross ‘The Esplanade’ at the lights to then turn right walking past the car park, and through a small park to find a large ‘Great North Walk’ sign at the (north bound) entrance to Thornleigh train station. 6km of this walk has short steep hills and another 1.6km has gentle hills with occasional steps. The remaining (1.1km) is flat with no steps. 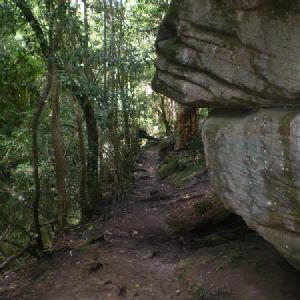 5km of this walk follows a formed track, with some branches and other obstacles and another 2.7km follows a clear and well formed track or trail. Whilst another 630m follows a smooth and hardened path and the remaining 260m follows a rough track, where fallen trees and other obstacles are likely. Around 7km of this walk has directional signs at most intersection, whilst the remaining 2.1km is clearly signposted. 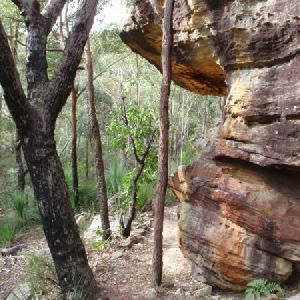 Around 5km of this walk requires some bushwalking experience, whilst the remaining 3.6km requires no previous bushwalking experience. Around 8km of this walk is not usually affected by severe weather events (that would unexpectedly impact safety and navigation), whilst the remaining 260m is affected by storms that may impact your navigation and safety. Around 7km of this walk has limited facilities (such as not all cliffs fenced), whilst the remaining 1.7km is close to useful facilities (such as fenced cliffs and seats). A list of walks that share part of the track with the Wareemba Ave to Thornleigh Station walk. This short walk follows a concrete management trail between Bellamy St and De Saxe Close. 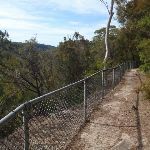 This is one of a few dog friendly bushwalks in the Berowra Valley Regional Park. You walk through some beautiful bush with a good array of grass and eucalyptus trees. At the bottom of the valley a bridge spans ZigZag Creek allowing you to keep you feet dry. There are also some good information signs explaining the rich history of the railway line and quarry that once passed through here. The authorised dog walk exits up the steps to the base of De Saxe Cl. We have also include an alternate exit, staying on the main trail to then end of Timbarra Rd for those walking without dogs. 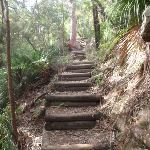 This walk follows a wide concrete trail through Berowra Valley Regional Park, through lovely bushland and the site of the historic Zig Zag railway. The railway is long gone, but the quarry site is interesting to explore and crossing Zig Zag Creek on the bridge gives a lovely view down on the fern trees. Stop and read the information signs along the way, bring your dog for a walk or use this trail for fitness training. The trail on the north side of Zig Zag Creek is very steep for about 50m, otherwise, this walk is easy to follow. To save the car shuttle you can just allow extra time and retrace your steps back to the start. 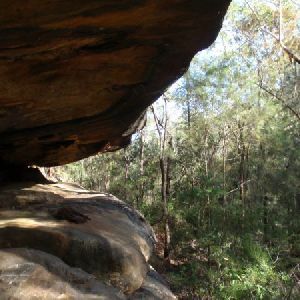 This is an enjoyable circuit walk that allows you to explore this rare pocket of Sydney Blue Gum forest. You will follow a signposted track across a few creeks and alongside Waitara Creek, with a few cascades. 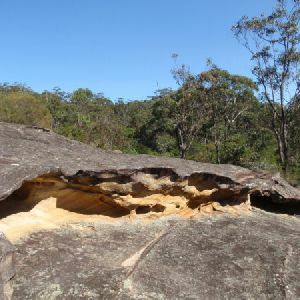 There are many small sandstone caves and a great diversity in plant life along the way. Sit quietly on the bank of Waitara Creek and you may see a water dragon, or get going early and listen for the Lyrebirds. A really nice loop walk in a corner of Berowra Valley Regional Park. The walk starts and finishes at the end of Schofield Pde, Pennant Hills. 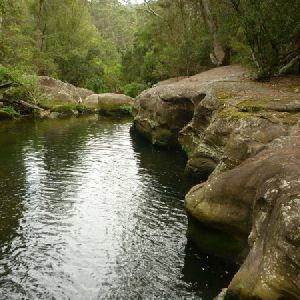 The scenery includes nice forest while going down Stringybark ridge and beautiful scenes along Zig Zag creek, as well as an optional side trip to see the remnants of the historic Thornleigh Quarry and Zig Zag railway. 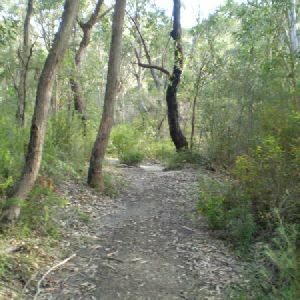 This walk is mostly within the Berowra Valley Regional Park. 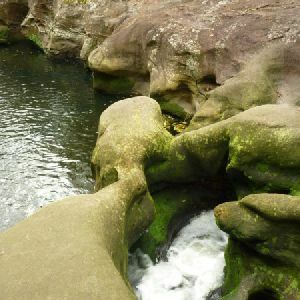 It has some beautiful sections with great scenery, including sandstone rock features, lots of ferns and great scenery along Zig Zag creek. 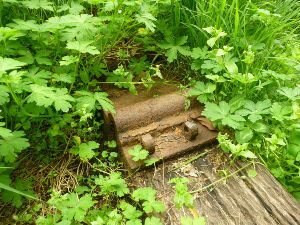 There is an optional side trip to visit the remnants of the historic Thornleigh Quarry and Zig Zag railway. This great circuit walk passes through some really nice forest around the fringe of Cherrybrook. 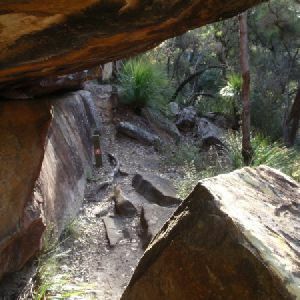 Highlights of the walk include some beautiful rock overhangs at the ‘Callicoma Caves’, and the atmospheric ‘Coachwood Grotto’. The walk starts and finishes at the pleasant Lakes of Cherrybrook park. A really nice loop walk in a corner of Berowra Valley Regional Park with good access by public transport. The walk starts and finishes at Thornleigh train station. 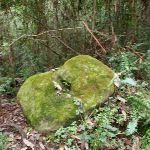 The scenery includes beautiful scenes along Zig Zag creek and nice forest while going up Stringybark ridge, plus as an optional side trip to see the remnants of the historic Thornleigh Quarry and Zig Zag railway. There are good spots to eat or grab a coffee near Thornleigh station before or after the walk. A beautiful walk through the Berowra Valley Regional Park. The walk mostly follows the Great North Walk, between Cherrybrook and Hornsby. 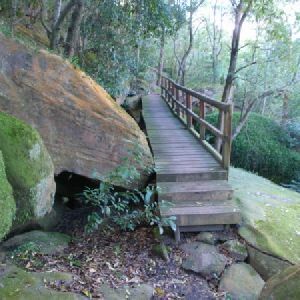 There are some fantastic lookouts along the way and some excellent scenery along Berowra creek, including the ‘Fishponds’. The start and end of the walk are close to good shopping centres, so this is also a good walk for those who like to start or finish their walks in a cafe. 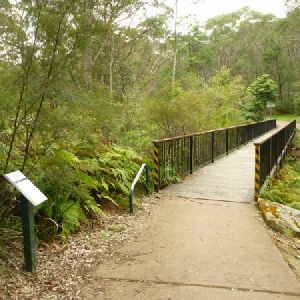 Starting at Thornleigh station you walk through suburban streets for a short while before diving into the bush at the southern end of Berowra Valley Regional Park. Soon after visiting the site of the historic Zig Zag railway you start wandering through the Berowra Creek valley, passing a few cascading creeks. The track undulates along the side of the valley visiting a range of environments from moist fern forest to the drier grass tree and eucalypt forests of the ridge. 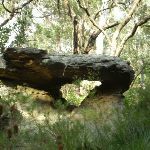 There is a short side trip to visit the Westleigh engravings and a chance to pop down to fishponds, before climbing up the depression era stone steps to Hornsby station. 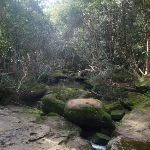 This overnight walk starts from Gordon train station and winds through bush filled valleys to Hornsby station. 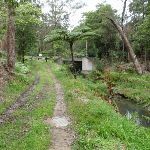 From Gordon station, the walk winds down past the Gordon golf course to the Great North Walk, then continues north through the Lane Cove Valley before staying overnight at the Baden Powell scout camp. The next day, the walk continues along the Great North Walk, through Thornleigh and down into the Berowra Valley Regional Park, following Berowra creek to the beautiful Fishponds waterhole. From here, the walk passes up through a piece of the old Blue Gum High Forest to Hornsby Quarry, and on to Hornsby train station. 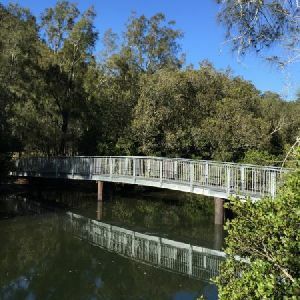 A list of walks that start near the Wareemba Ave to Thornleigh Station walk. A very nice walk through a small part of the Berowra Valley Regional Park. The extensive rock platforms of Refuge Rock make a beautiful place to relax and explore. The optional side trip to see the natural rock arch is well worth it, adding some really beautiful scenery to the walk. Another great bushland walk in the midst of the suburbs. A short walk to a beautiful lookout with views over the Berowra Creek valley, near Westleigh. 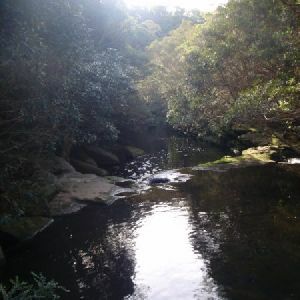 This is a short and interesting walk to one on those really beautiful pockets of bush in the middle of the suburbs. 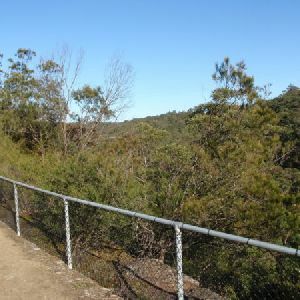 The lookout is in the Berowra Valley Regional Park and also on the Great North Walk. A short walk from Hornsby to reach a great spot for admiring Berowra Creek. This walk explores several different environments in the Regional Park along the way. Allow some time to sit and enjoy the view at Fishponds. Expect to see other people along the track as this is one of the most popular walks in the area. 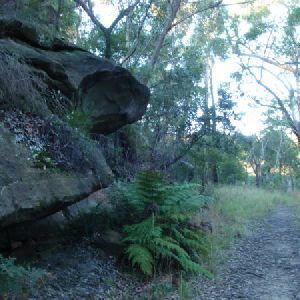 Starting at Hornsby station, you soon head into the bush and down the steep depression era stone steps through the volcanic Old Mans Valley, to a picnic area at the end of Rosemead Rd. Here you follow the Blue Gum walk through one of Sydney’s rare Blue Gum Forest stands to then cross Berowra Creek a few times at Fishponds waterhole. 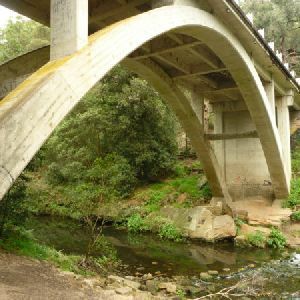 After exploring the edge of the valley you will cross the Steele Military Bridge before climbing to Tunks Ridge rest area. Not far from here the walk starts to lead steeply down enjoying more sandstone caves to cross under Galston Road to find the Galston trackhead. Note this walk was re-routed in early 2016 to go via the streets of Hornsby Heights. This re-route is due to the multi-agency decision to close the Fishponds to Steele Bridge section of the Benowie Track. This decision has upset many people and the protest continues. 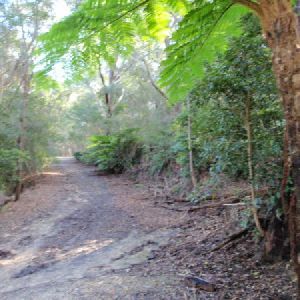 This is a pleasant dog-friendly walk, passing through some nice bush on the fringe of Cherrybrook. Despite being within the Berowra Valley Regional Park, this is an ‘Authorised On-Lead Dog Walking Track’. The walk starts at the end of Daphne Pl, Cherrybrook and can be done as a one-way walk, finishing at Patricia Cl, or by returning along the same track. Following the Great North Walk, and the upper reaches of the Lane Cove River South, this walk explores dense bushland surrounding the river. 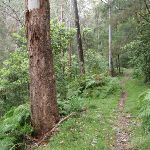 You will experience a variety of trails along this walk, from steep bush tracks to wide biketrails. The common feature, however, is how well managed these trails are. The section just south of Thornleigh is the highlight of the walk as the bushtrail winds its way around the hill. 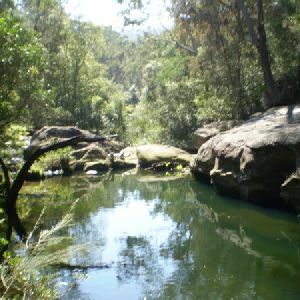 This is a pleasant loop walk, close to Cherrybrook. 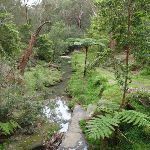 The walk crosses Disturbed Creek (not officially named) a couple of times and includes some nice scenery along the creek with ferns, grasstrees and eucalypt forest. 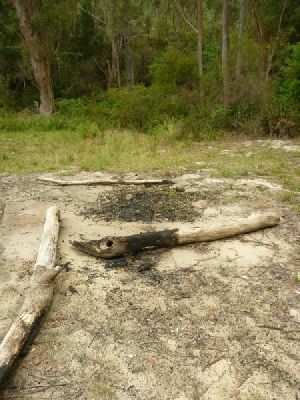 http://new.wildwalks.com/wildwalks_custom/includes/walk_fire_danger.php?walkid=nsw-dpccr-watt Each park may have its own fire ban, this rating is only valid for today and is based on information from the RFS Please check the RFS Website for more information.